Adobe Photoshop CC 2017 is a popular, award-wining imaging and design software developed and published by Adobe Systems for macOS and Windows. it's powerful new photography tools, grant you all the state-of-the-art photo editing, compositing, and painting capabilities in industry-standard. Adobe Photoshop CC work across desktop and mobile devices to create and enhance your photographs, web and mobile app designs, 3D artwork, videos, and more. It can edit and compose raster images in multiple layers and supports masks, alpha compositing and several color models including RGB, CMYK, CIELAB, spot color and duotone. Photoshop has vast support for graphic file formats but also uses its own PSD and PSB file formats which support all the aforementioned features. In addition to raster graphics, it has limited abilities to edit or render text, vector graphics (especially through clipping path), 3D graphics and video. Photoshop's feature set can be expanded by Photoshop plug-ins, programs developed and distributed independently of Photoshop that can run inside it and offer new or enhanced features. Photoshop's naming scheme was initially based on version numbers. 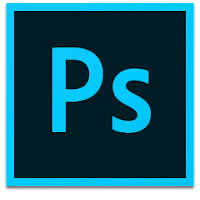 However, in October 2002, following the introduction of Creative Suite branding, each new version of Photoshop was designated with "CS" plus a number; e.g., the eighth major version of Photoshop was Photoshop CS and the ninth major version was Photoshop CS2. Photoshop CS3 through CS6 were also distributed in two different editions: Standard and Extended. In June 2013, with the introduction of Creative Cloud branding, Photoshop's licensing scheme was changed to that of software as a service rental model and the "CS" suffixes were replaced with "CC". Historically, Photoshop was bundled with additional software such as Adobe ImageReady, Adobe Fireworks, Adobe Bridge, Adobe Device Central and Adobe Camera RAW. Alongside Photoshop, Adobe also develops and publishes Photoshop Elements, Photoshop Lightroom, Photoshop Express and Photoshop Touch. Collectively, they are branded as "The Adobe Photoshop Family". To compare Photoshop CC features with older versions: http://www.adobe.com/il_en/products/photoshop/versions.html. Disclaimer: Direct downloads for the lastest version of Adobe Photoshop CC 2017.1.1 18.1.1 are provided by the official software's author, we can't guarantee safety, availability or download speed. Moreover, we don't and we won't provide any pirated/illegal versions or tools. We recommend you to avoid it as these methods can harm your device. If you like the software, buy it to support the developers. (We provide software discounts for many worldwide brands).